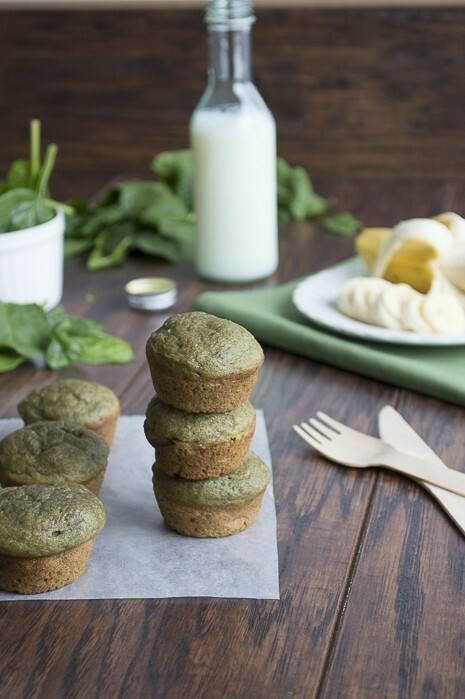 All the great things about a green monster smoothie transformed into a muffin! In a blender, puree the bananas, spinach, strawberries, and peanut butter. 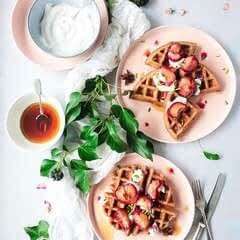 In a medium bowl, combine the flour, sugar, egg, oil, baking soda, cinnamon, and salt. Pour the smoothie mixture into the dry ingredients and mix well. Grease a muffin pan (we used a mini muffin pan) or insert paper baking cups into the pan. Scoop the batter into the pan, filling about three quarters full. 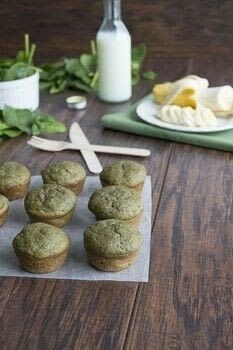 Bake for 10 minutes if using a mini muffin pan or about 20 minutes if using a regular pan, or until a toothpick comes out clean.